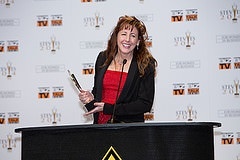 The 12th Annual Stevie Awards for Women in Business is now accepting entries, and in more categories than ever before. All female entrepreneurs, executives, employees, and the organizations they run, worldwide, are eligible to be nominated. The fields of government and non-profit are crucial to every society, and are increasingly being shaped by women. In the U.S.A. alone, the non-profit sector has 1.6 million organizations, and provides a great range of services in conjunction with government agencies such as relief for the poor, adoption, job placement, and community outreach. Because of the dedication of women around the globe in these crucial sectors, the Stevie Awards has eliminated the entry fees for most of the categories for Government and Non-profit organizations and women! Each of the Government and Non-Profit categories is subdivided by organization size. The Stevie Awards realize it’s hard to start a business and it’s even harder to make it successful. In order to honor the courage and originality of women entrepreneurs around the world, the Stevie Awards for Women in Business now offers four Startup of the Year categories. There is no entry fee for these startup categories. The last of the new Women in Business categories for 2015 is Women-Run Workplace of the Year. It is broken down into two categories by company size: 10 or less employees, or more than 10 employees. Now that there are increasingly more women in the workplace, and in positions of leadership and as CEOs, the Stevie Awards are thrilled to introduce this new category to honor women run businesses all over the world. To enter the new categories, request your entry kit and find complete details on the competition at http://www.StevieAwards.com/Women. The early-bird entry deadline is July 22, with reduced entry fees. The final entry deadline is August 26, and late entries will be accepted through September 23 with payment of a late fee. Winners of the 12th annual competition will be announced at a gala awards dinner at the Marriott Marquis Hotel in New York on November 13, 2015. If you're in the government or non-profit industries, run or work for a startup, or own a woman-run business, take a look at these new categories. You could be one of the first to ever take home these titles!